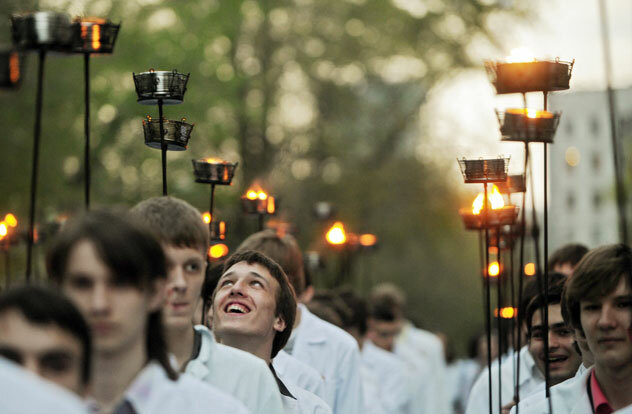 Moscow State Medical Dental University (MGMSU) students participate in a torch-lit procession marking the upcoming 66th anniversary of the Soviet Victory over Nazi Germany in the Great Patriotic War. The event is titled "The Flames of Our Memory". Moscow, Russia, May 6, 2011.